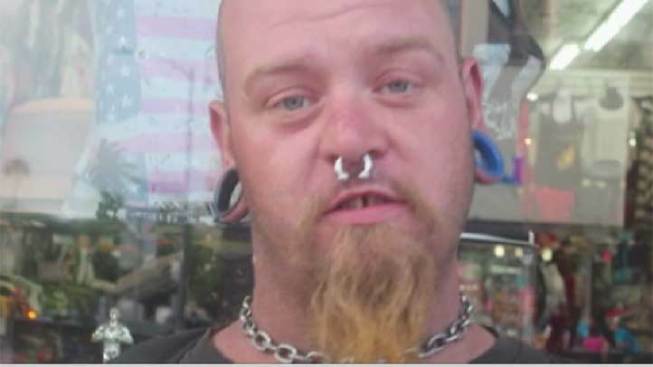 Dustin Kinnear, pictured in a still from a documentary about the seedier side of Hollywood, had been arrested dozens of times before being charged with the stabbing murder of 23-year-old Christine Calderon. With a string of arrests dating back six years, the homeless man charged with killing a woman at a popular Hollywood tourist attraction had been in and out of California jails and prisons, officials said. County Supervisor Zev Yaroslavsky on Tuesday asked for a chronology of events between the release of Dustin Kinnear from state prison April 6 and the killing of Christine Calderon last week. Calderon was fatally stabbed June 18 after taking a photograph of homeless men near the busy tourist-centered intersection of Hollywood Boulevard and Highland Avenue. She had refused to give a dollar to the men she photographed, authorities have said. Calderon, a Lynwood resident, was 23. She was the subject of a vigil in Hollywood on Monday. The man accused of fatally stabbing a woman on the Hollywood Walk of Fame has been arrested at least 46 times in the last eight years. Beverly White reports from the NBC4 newsroom for the NBC4 News at 11 p.m. on June 25, 2013. Kinnear was charged with her murder, while Jason Joel Wolstone, 33, was charged with assault by means likely to produce bodily injury and two counts of accessory after the fact, and 34-year-old Brian Joseph Widdows was charged with two counts of accessory after the fact. Yaroslavsky said Kinnear, 26, was released from prison and ordered to report to county probation for supervision instead of state parole as part of AB 109, the criminal justice realignment program pushed by Gov. Jerry Brown. The law, which took effect in October 2011, was in response to a federal court order to reduce California's prison population. Under it, nonviolent, non-sexual and non-serious criminals are sentenced to county jail instead of state prisons. The law also allows some inmates to report to county probation officers rather than state parole agents once they are released from custody. Family and friends of Christine Calderon held a vigil to honor the 23-year-old after she was stabbed to death by transients near a busy Hollywood intersection. The Los Angeles Police Department said they will consider more police patrols and outreach for areas with high homeless populations. 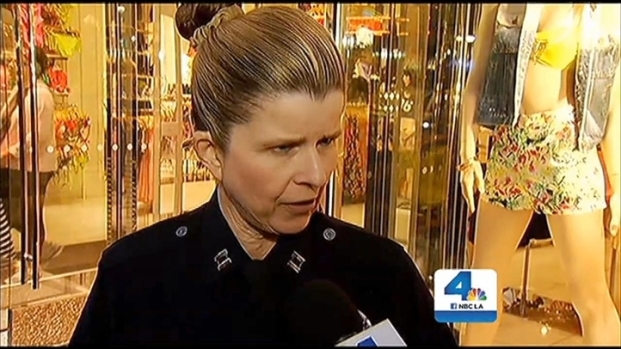 Kim Baldonado reports from Hollywood for the NBC4 News at 11 p.m. on June 24, 2013. That was the case with Kinnear, who began serving a three-year state prison sentence last December for violating terms of his release after he was sentenced to a year in county jail and three years of probation for a 2010 conviction of assault with a deadly weapon. In that incident he'd threatened a security officer with a broomstick, though it's unclear if the person was actually hit, said Deputy Chief Reaver Bingham, who oversees AB 109 for the LA County Probation Department. Kinnear was on probation in 2012 when he was found with brass knuckles and a dagger. He was sentenced to three years in state prison for violating his probation terms and was released April 6 after serving 96 days because of custody credits. Dana Simas, a spokeswoman for the California Department of Corrections and Rehabilitation, said assault with a deadly weapon is not defined as serious or violent under the state penal code. Kinnear was picked up by police four times since his release -- including an April 27 incident where he was arrested for lying to a peace officer. On May 28, he was convicted of battery and sentenced to three days in county jail, but he was released May 29 after serving two of his three days in custody while waiting for his case to be heard. Kinnear's “extensive arrest history” includes more than two dozen arrests on assault, battery as well as drug-related charges dating to May 2007 and four convictions, Bingham said. The Los Angeles Times reported that Kinnear had been arrested at least 46 times, including seven arrests for assault with a deadly weapon. His mother, a police detective in Tucson, told the newspaper that Kinnear had left his hometown after he had been ordered to undergo mental health treatments. The country probation department is researching Kinnear’s mental status. He appeared in court last week wearing a yellow jail shirt, indicating psychological problems. 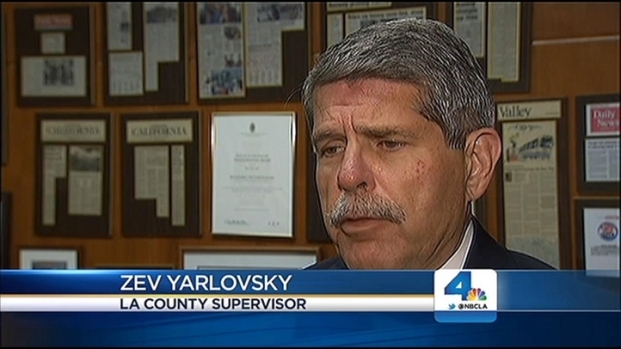 Yaroslavsky said the issue is whether Los Angeles County officials were properly notified by the state and had enough time to adequately supervise Kinnear. The state corrections department provided details on Kinnear to county officials one day before he was released from state prison, instead of the required 120 days, he said. Luis Patino, a spokesman for the California Department of Corrections and Rehabilitation, said the law requires 30 to 60 days' notice depending on the situation, though the department tries for 120 days, he said. Yaroslavsky said the county departments of probation, mental health, public health and the Sherriff's Department need to determine whether laws and procedures are "adequate to protect against any of the possible gaps in the AB 109 process,” states Yaroslavsky's motion Tuesday, which was unanimously approved by the Board of Supervisors. Within 30 days, officials must also provide details on Kinnear's criminal and mental background, whether protocols for release were followed, and whether current laws and procedures are adequate to protect against possible gaps. Bingham said the department is doing a thorough administrative review and will submit it to the board. “We take public safety very seriously and we're looking into this matter,” Bingham said.